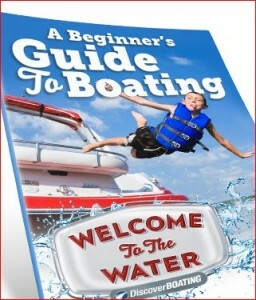 Free Beginner’s Guide To Boating Book & DVD!! Pick up a FREE Beginner’s Guide to Boating Book Or a FREE Getting Started In Boating DVD! You can view the DVD online or order a FREE copy. +Please note that you must request each offer individually. The book & DVD include information including: Boat type descriptions to help you find your perfect boat, advice and tips on operating your boat, information on maintaining and storing your boat, boating terms, steps to boat ownership and finance information.